Admittedly with a slight delay due to stomach flu. For all three of us. At the same time. To be fair, Elora showed the most grace of all of us. ... but she's back with a vengeance, bouncing back up to the winning half of the trend curves. Almost too much to mention! She can follow simple commands, like "bring me your cup", or "come here and sit down." Words, in full context. She can recognize a half-dozen animals (and can associate the real animal both photos and drawings), ask for specific foods, even for specific games and movies on her Surface. Speaking of Surface, she can navigate the Surface like a pro. For awhile, this was problematic, because she would get stuck trying to buy Breaking Bad episodes (though Knotty Software is working on this problem), but she's now figured out how to dismiss the dialogs as well. Walking, running, and climbing, like a pro. She can now walk with me holding hands. She finally waves, and says "bye bye". Elora copies Daddy who was using a stud finder. 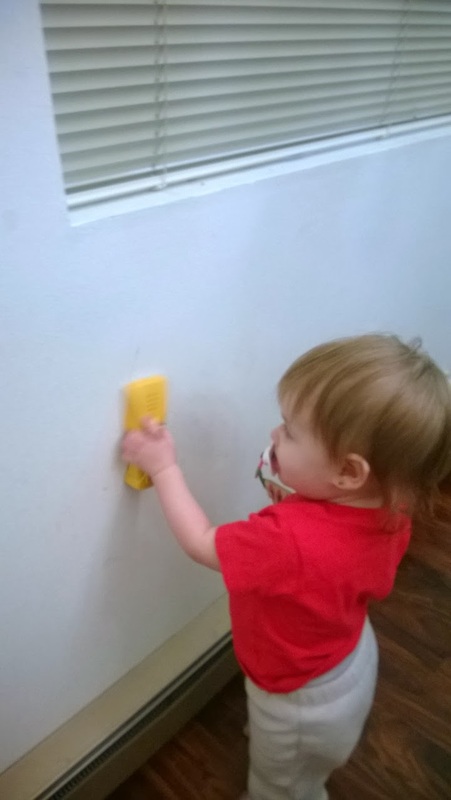 Hopefully she's better at it than Daddy is. 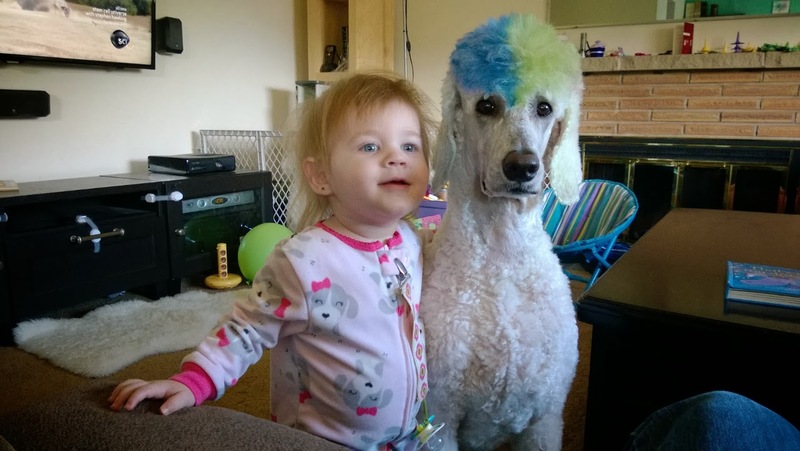 Elora and her good friend Seahawks Poodle.